This private home on two oceanfront lots on St. Augustine Beach offers guests all the luxury of waterfront living and the convenience of being close to the fine restaurants, art galleries, shopping, and historic sites of the nation’s oldest city. 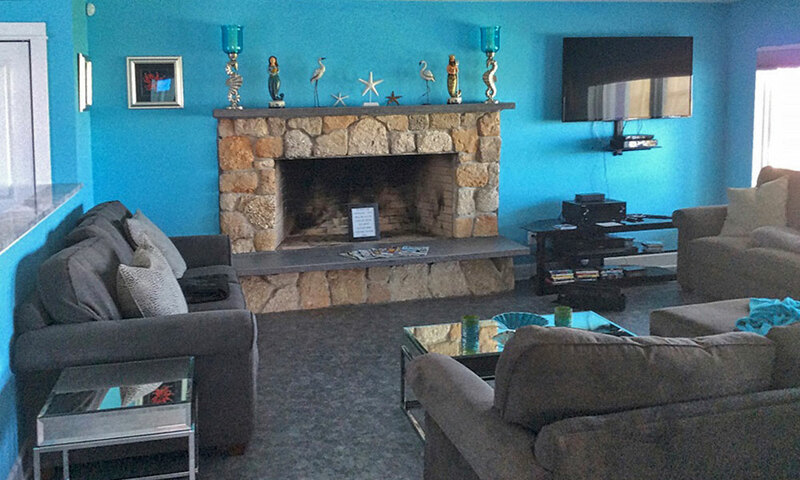 Newly renovated from top to bottom as a future dream retirement home, the Love Shack includes five master suites, each with private baths, a saltwater pool, and breathtaking views of the beach. 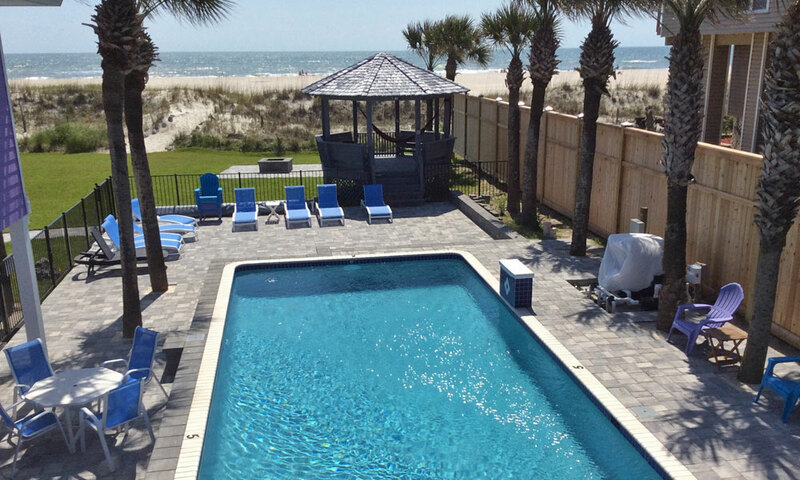 With a gazebo and a private walkway to this non-driving portion of St. Augustine Beach, the home sleeps 10 to 14 people and is available for weekly and monthly rentals throughout the year. Weekly rates vary from $2800 to $7500 depending on the season. 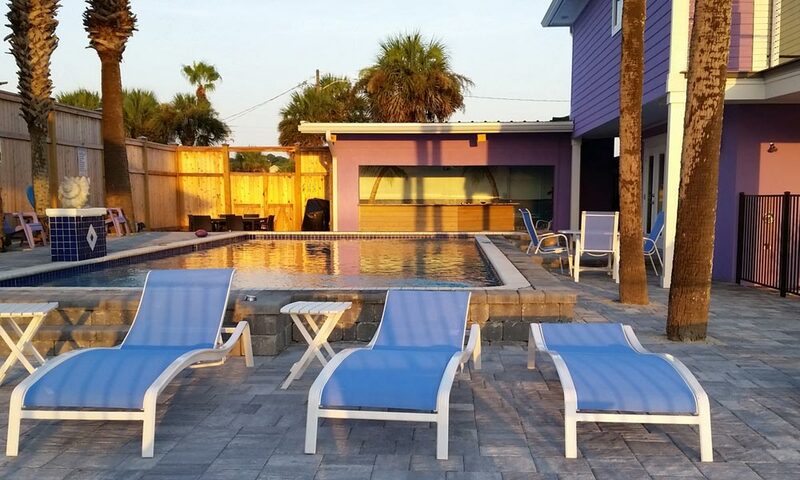 The pool area includes plenty of lounge seating, an outdoor bar, grills and a fire pit. Common areas include a state-of-the-art kitchen and a family room with two pull-out queen-size sofa beds. Three of the master suites share a large deck with direct access to and views of the ocean. Additionally, there is a private suite upstairs and a ground-floor suite with a handicap-accessible shower. For details and information on rates, visit here or call Lynne at (301) 335-4639. This clean, new property is right on the beach on 11th St, the non driving portion of St. Augustine Beach. The 15x40x5' deep pool is saltwater and was amazing to swim in. The covered bar has a hot/cold wet bar with disposal and a propane grill. The Gazebo with hammock and the 26 palm trees lining the property give you a resort feel and privacy. The house and grounds were immaculate. The Love Shack has 5 master king suites with ensuite bathrooms, so it is easy to get away from the rest of the group. 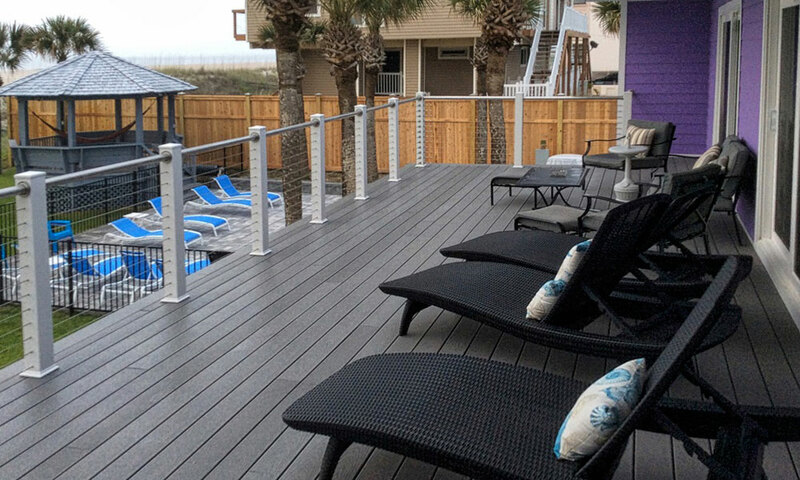 The 3 suites off the 16x45' trex deck have amazing views and the 5 sets of speakers allow your favorite music to play everywhere you go. Jenn and Stacy, the caretakers, who live in the cottage next door keep the place immaculate and are there if there is an emergency and Stacy owns a chair and umbrella rental company so it was easy to walk to the beach and sit down in the chairs under and umbrella that he set up for us. Our group of 5 couples all had fun walking to the Farmer's Market on Wednesday morning or one of the many fantastic restaurants close by. Lots of shady places to avoid the sun. Best place on the beach in my opinion. We will return. Thank you Augustine.com for helping me find this rare gem.